revealing a very fuzzy and particularly smelly blossom that reminds me of the giant corpse flower! Still, I look forward to its emergence each year as part of my personal, and sometimes bizarre, paradise. Visit Rebecca @ http://corazon.typepad.com/ for more expressions of paradise. ~ by Dawn Elliott on August 27, 2011.
creepy and exhilarating. the center picture reminds me of the eye of a cyclopes. although i am not sure why. the final close up blossom, sucking one inward….very twilight zone. nature slays me with its extreme expressions. i love the way the green arms form, so packed together and teaming for the sky. 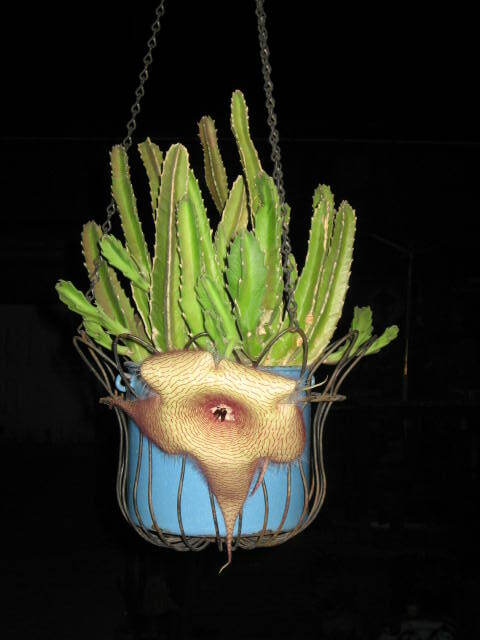 thank you for giving me a pup from this very bizarre plant…although it is thriving, no sign of the giant pod yet! perfect postcards to a strange and wonderful science fiction paradise! I love this, the middle pic especially, I think it has it’s beady eye on us all! Wow! 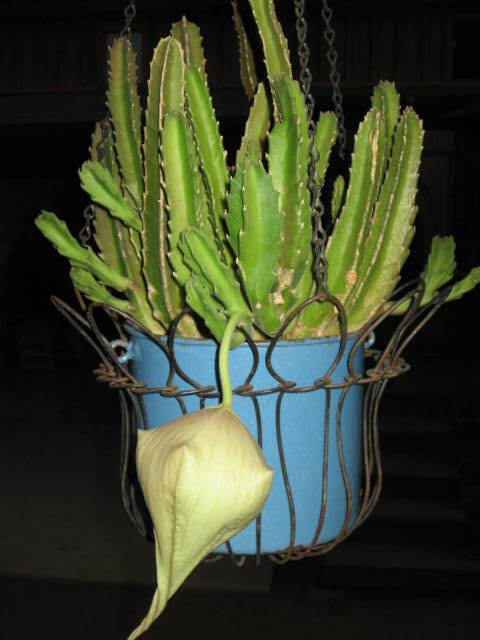 It must be like the night-blooming cereus, another succulent that rarely blooms. What an amazing thing that you get to witness this show. Oh, definitely an interestink plant! Hi Dawn. Love the photos. Beautiful cacti. 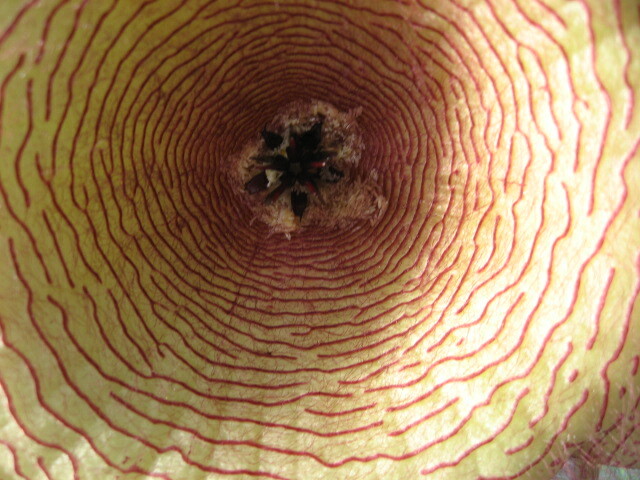 There are so many varieties that it would be hard to identify it unless one is a cacti aficionado. Hope you are well. I’m trying to catch up a little and still going to and fro San Jose. Not every day but about 3 days a week. Some times I stay there, others I come home in the evening. Gots to go, take care. Be well.